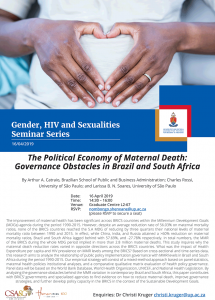 The improvement of maternal health has been significant across BRICS countries within the Millennium Development Goals (MDGs) agenda during the period 1990-2015. However, despite an average reduction rate of 56.03% on maternal mortality ratios, none of the BRICS countries reached the 5.A MDG of reducing by three quarters their national levels of maternal mortality ratio between 1990 and 2015. In effect, while China, India, and Russia attained a >60% reduction on maternal mortality ratios, Brazil and South Africa lagged behind with 57.69%, and -27.78% respectively. In total numbers, the MMR of the BRICS during the whole MDG period implied in more than 2.8 million maternal deaths. This study inquires why the maternal death reduction rates varied in opposite directions across the BRICS countries. What was the impact of Health Expenditure per capita and HIV prevalence on MMR levels among the BRICS? 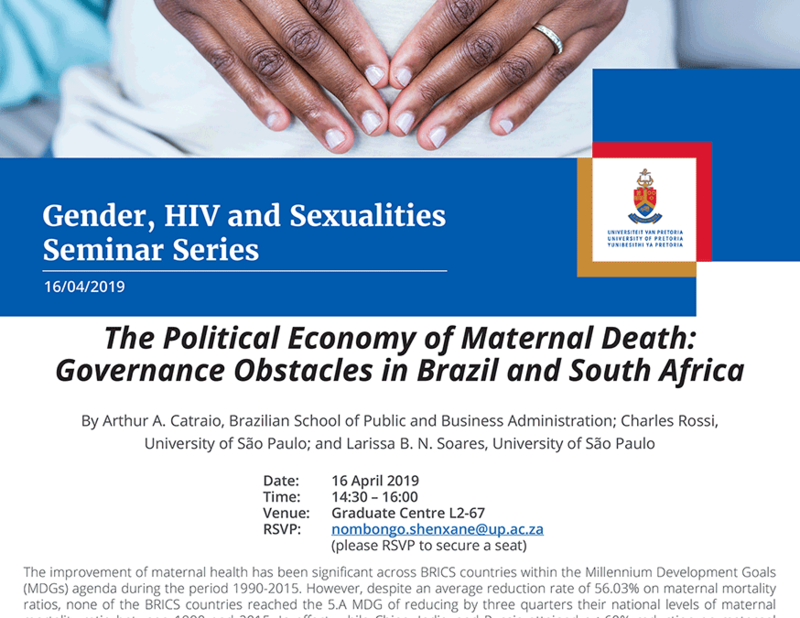 Based on cross-sectional and time-series data, this research aims to analyze the relationship of public policy implementation governance with MMR levels in Brazil and South Africa during the period 1990-2015. Our empirical strategy will consist of a mixed-method approach based on panel statistics, maternal health policies institutional analyses, and a comparative qualitative matrix evaluation of health policy governance. Panel data will be based on the World Bank Database, World Health Organization, UNICEF, and National Health Legislation. 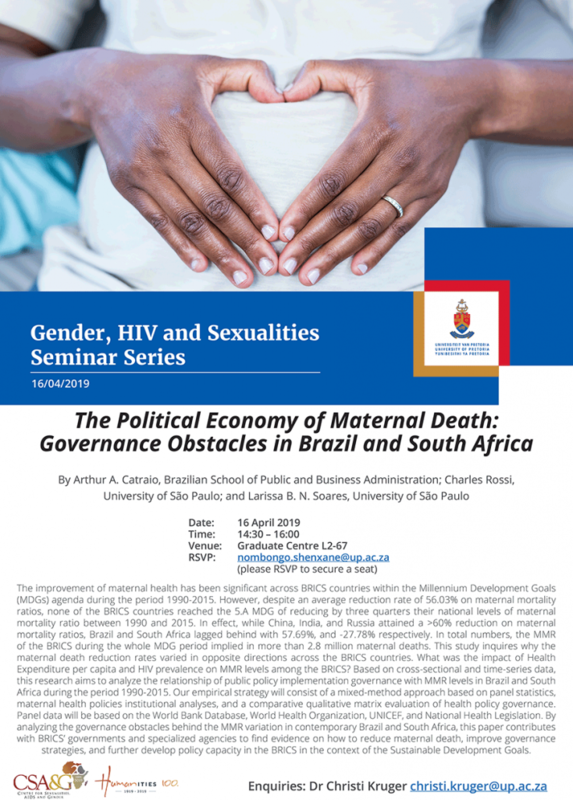 By analyzing the governance obstacles behind the MMR variation in contemporary Brazil and South Africa, this paper contributes with BRICS’ governments and specialized agencies to find evidence on how to reduce maternal death, improve governance strategies, and further develop policy capacity in the BRICS in the context of the Sustainable Development Goals.